The Hoops were held to a goal-less draw at home on Friday as a resolute Motherwell side defended until the final whistle. Both sides at times pressed to break the deadlock, but ultimately the game ended in a stalemate. Celtic were without Sarah Ewens, resulting in a reshuffle, with Rachel Donaldson coming in as a replacement, while five ex-Celts lined up for the visitors. The Hoops began the game trying to hit Motherwell fast, with Emma Black and Kelly Clark sending long balls up for the strikers to capitalise on, but Morgan Hunter in the Motherwell goal kept the hosts at bay. 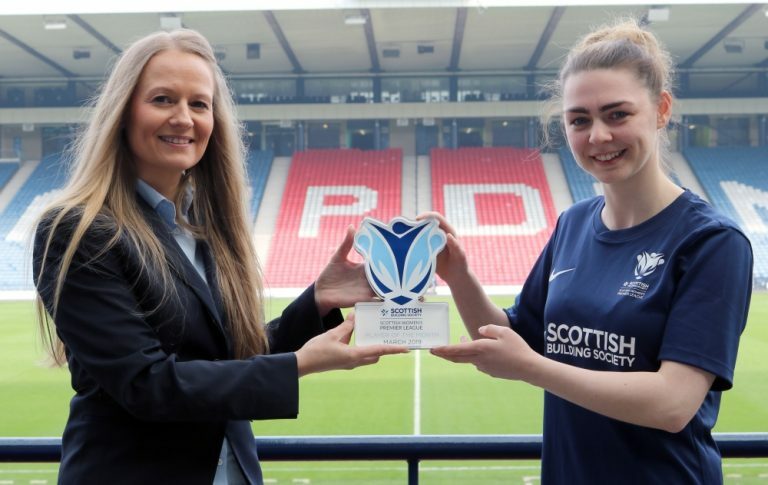 With 27 minutes on the clock, Celtic forced another corner as Natalie Ross’ shot was palmed away by Hunter following a pinpoint pass by Chloe Craig, and a minute before the interval, Rachel Donaldson danced into the middle to release McCulloch on the left. However, despite drawing Hunter out, she couldn’t get the lift to put the ball over her, and it was all-square at the break. The Hoops returned for the second half unchanged as they began to carve out half-chances and try to wear the visitors down. Around the hour mark, McLaughlin’s inswinging corner was cleared away, but Donaldson was on hand to pick out Keenan out wide to float it back in. McGovern did well to control with her chest to send it to the arriving McCulloch’s feet, but the move came to a halt with the assistant’s flag. Celtic continued to push in search of a goal in the final 20 minutes, and the introduction of Josi Giard added a new dimension to the hosts, as she tormented the Motherwell defence around the middle of the pitch and the box as she sought to engineer an opener. The German did well to link with Ross in the middle, who spun to find McCulloch, who sent a dipping effort into the area for her team-mates to pounce on, but Hunter held with ease. Seven minutes later, McCulloch and Ross were involved again, with McCulloch picking out Donaldson in the middle for the midfielder to blast a shot at Hunter. Her strike was blocked and followed up by Ross, who couldn’t place her strike on target with 12 minutes to go. With four minutes left, Kat Smart sent a low cross into McGovern’s path inside the area, but the young striker’s effort bobbled wide in what proved to Celtic’s last real chance of the evening. Frustration rang around K-Park on the full time whistle, but the Celts now focus on their League Cup quarter final against Glasgow City. CELTIC: Cunningham, Black, Crosbie, Clark, Craig, Donaldson (Smart), McLaughlin, Ross, Keenan (Giard), McGovern, McCulloch (Hay). Celtic face Glasgow City away this Sunday, March 24 in the quarter-final of the SWPL Cup.